“Plans are afoot to adjust the regulations with regards to facilitating foreign yacht and Superyacht owners in a bid to attract them to Thailand. These include changes in the taxations levied and a longer period of time yacht owners will be allowed to stay in Thailand. The government has supported the project with 15 million Baht with the goal to set Thailand as the center of ASEAN marinas”. “The prime targets are yacht owners coming from Mediterranean and Caribbean seas, who want to escape cold weather there during the winter”, said Mr Chula, “Owners will be allowed to stay longer in Thailand and will become eligible to receive some tax incentives.” Superyachts can also expect to greatly benefit from new VAT and crew regulations, providing significant savings for superyacht owners and captains. Captain Charlie suggests visiting Superyachts in to Koh Samui include an adventure cruising journey through famed Angthong Marine Park Archipelago and top dive spot, Koh Tao, using Samui as a base. He adds Samui’s charms are being recognised and in a roundup of Thailand’s ‘Top 10 yachting destinations’ in Luxury Island and Magazine, naming Koh Samui as Number 1 of the top ten. 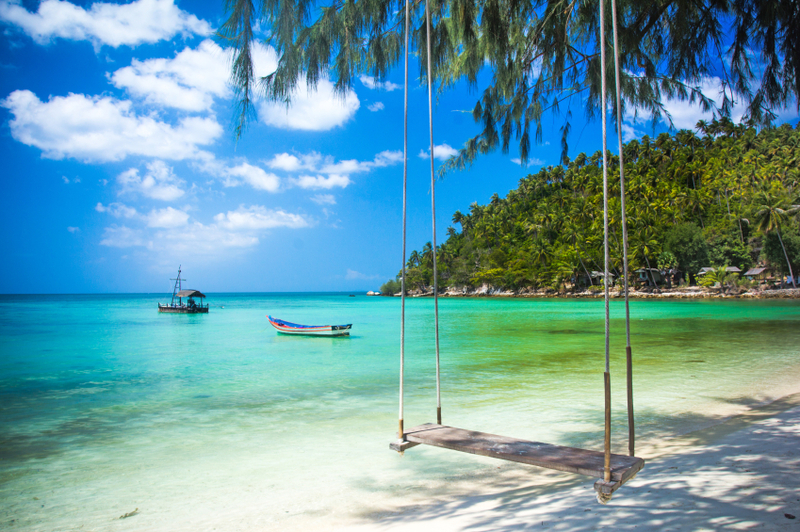 Samui is set amidst a paradise of turquoise blue sea with miles of white sand beaches and friendly Thai hosts. For those seeking luxurious settings, the island is home to some of the world’s most luxurious 5-star resorts, such as ‘W’, Four Seasons, Anantara Lawana, Le Meridian, Conrad and Six Senses. Koh Samui provides a perfect base of a luxurious holiday stay combined with exotic cruising journeys.